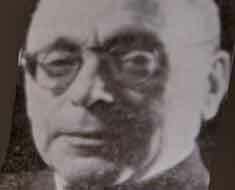 The first ‘hint’ of Progressive (Liberal) Judaism in South Africa came when Professor Abraham Zvi Idelsohn visited his family in Johannesburg in September 1929 for his parents’ Golden Wedding anniversary. Abraham was a professor of Jewish music at Hebrew Union College in Cincinnati, and while he was here, he gave talks on Jewish music as well as the nature, principles and procedures of Progressive Judaism. He urged his brother, Jerry, to establish a group to initiate Progressive Judaism in Johannesburg, which he did. Jerry later joined his brother on a trip through Europe, where he visited Progressive synagogues and met a number of prominent Progressive Jewish leaders and Rabbis on the Continent and in England, including the Honourable Lily Montagu, who was president of the World Union for Progressive Judaism. During his travels, he was impressed by the Progressive services and inspired by Lily Montagu, who later sent him the Liberal Sabbath prayer books to use for services. On his return, he discovered the provisional committee formed before his trip was inactive and so he formed a new committee, which included Oscar Caplan, Dr Louis Freed and Sigmund Haas, among others. He conducted services in private homes during 1930, and later arranged public lectures, gave talks on the radio and wrote articles on Progressive Judaism in the Jewish and daily press. 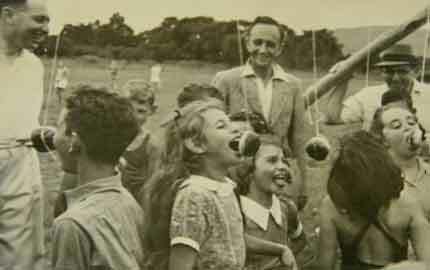 In June 1931, the South African Jewish Religious Union for Liberal Judaism was established with Jerry as honorary secretary, and a wide media campaign was launched. In 1932, through Abraham Idelsohn and Lily Montagu, he started negotiating with Moses Cyrus Weiler, then a student at Hebrew Union College under the tutelage of Abraham, who was his professor. Once he was ordained, Rabbi Weiler came to Johannesburg. It was August 1933. A Progressive congregation was soon formed and the first service was held at the Freemasons’ Hall. At the end of that year, a site was purchased to build a synagogue. According to The Star on 28 December 1933, the Liberal Jewish movement in South Africa… has purchased a site for the erection of a Liberal Jewish Synagogue in Johannesburg, the first in South Africa. The foundation stone of Temple Israel was laid by the then Mayor of Johannesburg, Councillor Maurice Freeman, on 22 September 1935, and the official opening of the shul took place on 23 August 1936. The first High Holy Days services that year brought in a large number of new members and other interested people. “During the next three years, progress was slight and it seemed that for once, the Rabbi had been too optimistic – the Temple stood more like a Temple of Hope than a Temple of Achievement. But a Temple Israel Hebrew School was established and children’s services were instituted. This was completely revolutionary. The children themselves conducted the Sabbath morning service almost in its entirety, and the first such service was attended by 20 children.” (UPJC Jubilee Retrospective, 1983). And if you manage to entice the children… the parents will always follow. Rabbi Weiler’s insight and vision were clear from the beginning. As early as 1933, he was able to persuade the committee that certain principles must be adhered to with regard to membership – the most important being complete equality between men and women, and the practice of unassigned seats. “There must never be any vestige of differentiation between a rich man and a poor man,” he said. Ammi, Winter 1981/82, published by the World Union for Progressive Judaism, with a special focus on South Africa and the first 50 years. Newspaper cuttings and other material sourced from Temple Israel’s archives. A general meeting of members of the Jewish Religious Union will be held at the Jewish Guild on Tuesday, October20, at 8 p.m. The purpose of the meeting is to confirm the constitution which has been carefully prepared by the committee. It is noteworthy that an important clause in the constitution states that the aim of the Jewish Religious Union is to stimulate and inspire an intensive interest in Judaism and to overcome religious apathy and indifference and to establish a branch of the Progressive Jewish Movement (Liberal Judaism) in South Africa. In view of the importance of the decisions to be taken at this meeting, a full attendance of those interested is anticipated. An important communication will be read from the headquarters of the World Union for Progressive Judaism. The hon. secretary of the local branch of the Jewish Religious Union is Mr J. Idelson.